There were 683 press releases posted in the last 24 hours and 154,061 in the last 365 days. 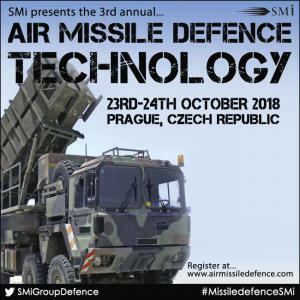 LONDON, UNITED KINGDOM, July 2, 2018 /EINPresswire.com/ -- IAI Elta Systems, Thales Raytheon Systems and Tetraedr announced as latest sponsors to Air Missile Defence Technology conference, taking place on the 23rd and 24th October 2018, in Prague www.airmissiledefence.com/prcom. The second latest sponsor ThalesRaytheon Systems designed and delivered the Air Command and Control Systems (ACCS) to provide NATO with the flexibility it needs to face increasing security challenges and changing threats. The system represents NATO's first-ever integrated ACCS, successfully laying the groundwork for a long-term and trusted partnership. ACCS changes the face of air operations in Europe, providing NATO with a comprehensive approach that spans planning, tasking, monitoring and mission execution. The ACCS provides a multi-layer defense system protecting NATO against a range of high and low altitude threats such as s UAVs, cruise missiles, as well as ballistic missiles. As NATO continues to face constantly evolving threats, ThalesRaytheonSystems is well positioned to help NATO transition to territorial ballistic missile defense (Territorial BMD). This will provide NATO members with a more comprehensive form of protection that goes beyond theaters of operations. ThalesRaytheon will also be presenting at the two-day conference. Presentation will be released soon. •	T38 STILET ADMS is designed to defend Army units, industrial and military installations from all types of aerial attack assets flying at low and medium altitudes and possessing the RCS of 0.03 m2 and above. •	The Byelorussian S-125-2ТM PECHORA-2TM ADMS is designed to fight modern and prospective aerial attack assets in complex jamming environment. •	The STRELA-10T ADMS is designed for covering units and small-size objectives of the Army against low-flying aircraft, helicopters, cruise missiles and other unmanned air vehicles in all kinds of the battle, on the march and at positions under the conditions of electronic jamming day and night. •	The 9K33-1T OSA-1T self-contained mobile air defense missile system is designed to defend Army units, industrial and military installations from the strikes of all types of modern and advanced aerial attack assets with the RCS of 0.03 m² and above flying nap-of-the-earth, at low and medium altitudes. Delegates will find Tetraedr, ThalesRaytheon and IAI Elta in the exhibition hall presenting the very latest technologies and solutions.